The University of Waterloo is located in a dynamic community with a global reputation for excellence in information technology. 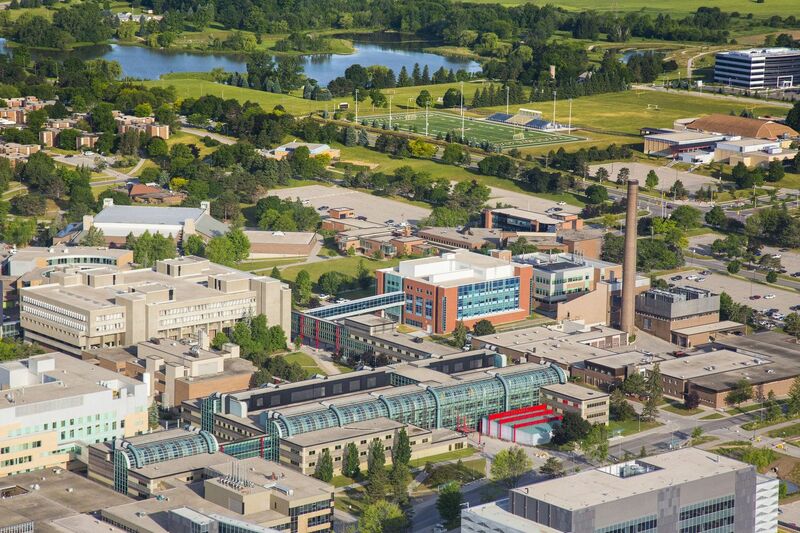 Maclean’s magazine has named the University of Waterloo as the most innovative university in Canada for each year for more than two decades. At Waterloo, GIS teaching and research is focused in the Department of Geography and Environmental Management and the School of Planning in the Faculty of Environment. Undergraduate students can choose from seven Planning and Geography courses that range from GIS fundamentals through to application development and advanced spatial database design and management. Students have three main degree paths in Environment with concentrations on GIS and spatial analysis. Students in the honours undergraduate Planning and Geography degree programs can apply their GIS skills to pressing environmental, social and economic challenges such as climate change impacts, transportation analysis, and urban designs. Students who are interested in GIS, remote sensing, and computer science can also choose the Geomatics program that is offered by Geography. The Geospatial Mobility Lab is an integrated system of mobile devices, wireless data service plans, geospatial data servers, and analytic infrastructure that will be used to evaluate how users interact with and contribute geospatial information using mobile devices. Research carried out with this equipment will contribute to leading-edge applied and theoretical knowledge on the ways in which mobile devices mediate and shape the user experience of space and place. This lab is funded by the Canadian Foundation for Innovation, the Ontario Research Fund, Esri Canada, and Dell Computer. The Geospatial Mobility Lab is directed by Dr. Peter Johnson (http://www.geoparticipation.ca/). The Spatial Decision Support Lab is home to a research group interested in the use of spatial analysis, decision support and visualization methods for a range of land management and community planning challenges. Led by Dr. Rob Feick in the School of Planning, our recent work has focused on developing and applying GIS tools that facilitate public participation in community planning contexts, citizen-sourced or volunteered geographic information (VGI), spatial decision aiding methods such as GIS-based multi-criteria analysis, and Web-based spatial data visualisation methods.